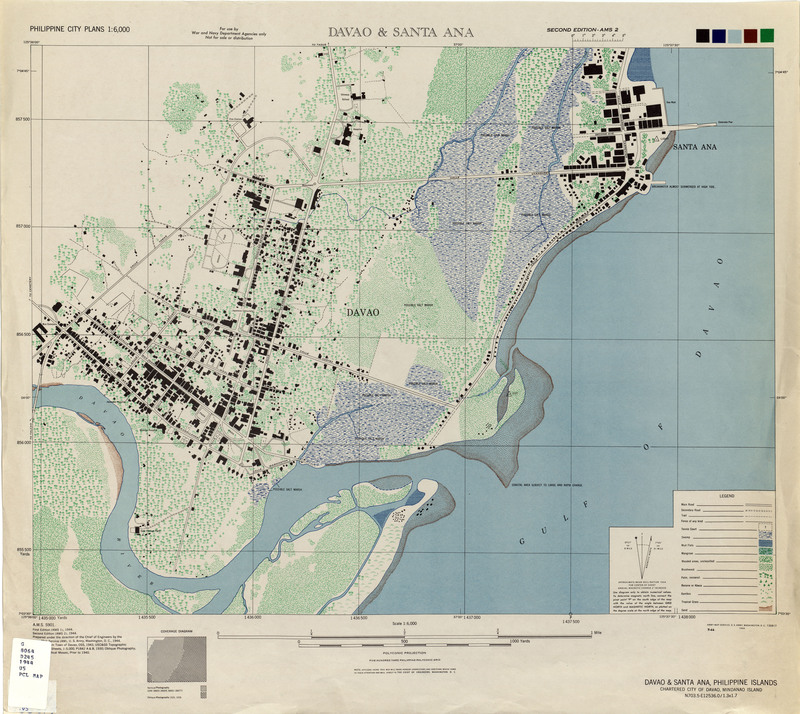 These series of aerials and maps taken before the war can have a lots of purpose. Just like those Google maps in the increasingly pervasive presence of today’s technology, aerials served a variety of purpose, from agriculture to military intelligence. And it can a pretty stifling work. As it means you take a lot of photos, develop it, paste it up to form a composite until you form a composite aerial. If something is wrong like an underdeveloped photo or too far that you have a gap, then well, you fly that darn plane with your bulky camera and do same thing again, and again. So. if people think that maps are easy, well, think again, because they are based on photos. So the latter is based on the former. So. They took a lot of aerials of Davao, with markings of Japanese-owned businesses from abaca plantations to stores to houses. Above aerials are part of American declassified photos that are part of terrain study. In it are markings of Japanese businesses and plantations and American airfields that dotted the province. While military has been busy doing the aerials, the Japanese were also doing their own intelligence work. The two maps below are examples of Japanese intelligence work, thanks to officers disguised as migrant workers. These maps are examples of that. Local intelligence gathering means only one thing, knowing your perceived enemy. And both parties played it to the core. In the end, these are a boon for historians for it helps us understand history with documents to prove. For what is history when you have nothing to show. Posted in aerials, archives, davao, davao of the past, digital archives, History, old davao, repository, Uncategorized and tagged aerials, davao, davao history, davao of the past, digital archives, History, maps, old davao, repository. Bookmark the permalink.